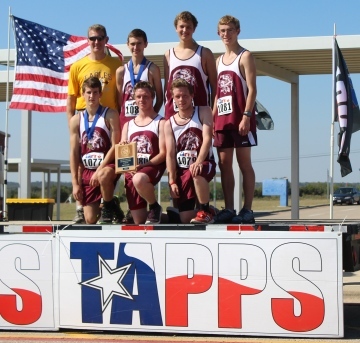 Regents Academy’s high school TAPPS Academic & Art Competition team placed third from among 24 teams at the state competition in Waco in April. front row (from left): Liane Muir – 7th-Duet Acting, 5th-Spelling; Sydney Bryant; Caroline Alders – 2nd-Literary Criticism; Abby Powers – 3rd-Fashion Design/Textile Arts/Jewelry Design, 5th-black & white photography, 7th & 8th-color photography, HM-Seek & Sketch (color); Leah Vermillion – 7th Literary Criticism; Lindley Bryant – 1st Spelling, 2nd-Social Studies, 7th-Duet Acting, Top Academic Points Student.Great job, students! 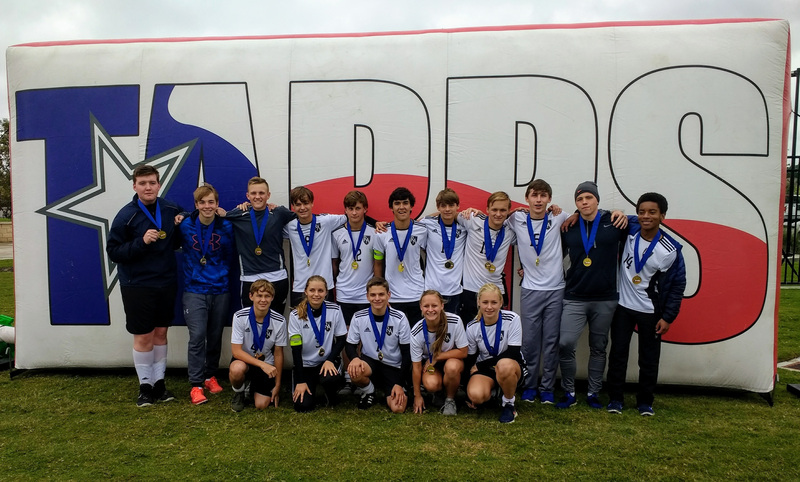 The Regents Academy high school TAPPS (Texas Association of Private and Parochial Schools) team has completed this year with a number of awards. 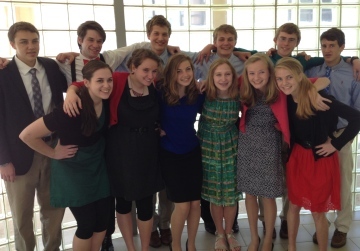 Several students earned music awards, including seven students who earned Superior ratings for their instrumental solos (Jake Hill-violin; Anne Elisabeth Alders-flute; Sarah Grace Alders-piano; Kyla Alders-violin; Emma Terrell-piano; Grace DeKerlegand-violin; Kaden Harman-piano), and the Regents Academy girls ensemble earned a Superior rating for their Sacred Ensemble performance at the State contest in Killeen. Ensemble members include Elise Landrum, Annaleigh Andrews, Abby Powers, Grace DeKerlegand, Alex William, Sydney and Lindley Bryant, Emma and Anabelle Terrell, and Kyla, Anne Elisabeth and Sarah Grace Alders. The ensemble is accompanied by Kaden Harman (piano) and Jake Hill (violin). Additionally, many team members placed in their individual events at the State speech & academic and art championships held in Waco. Academic/Speech/Art winners include: Sarah Grace Alders (3rd-Spelling, 4th-Seek & Sketch-color, 5th-Math, 6th-Number Sense, 7th-Literary Criticism); Kyla Alders (2nd-Original Oratory, Literary Criticism, 7th-Duet Acting with Avery Gound; 8th-Advanced Math); Caleb Henry (4th-Original Oratory, Advanced Math); Wesley Young (2nd-Calculator, 5th-Ready Writing, 6th-Current Events &Issues); Luke Riley (4th-B&W drawing); Alex Williams (5th-B&W photo, 6th-B&W photo; HM-On-site drawing); Aaron Bertke (6th-Calculator); Taylor Favro (7th-Seek & Sketch-color); Avery Gound (7th-Duet Acting with Kyla). 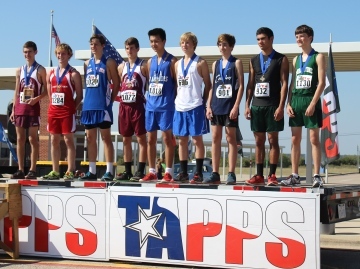 Great job, 2015 TAPPS Teams! 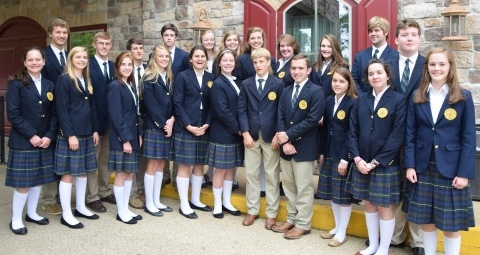 The 18-member Regents Academy Speech and Academic team returned from the TAPPS State competition in Waco earlier this month with another first place sweepstakes trophy. 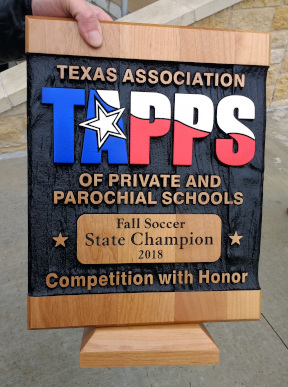 This is the third consecutive year our school emerged at the top of more than 20 competitors in the 1A division to win the overall award at the statewide gathering sponsored by the Texas Association of Private and Parochial Schools (TAPPS). 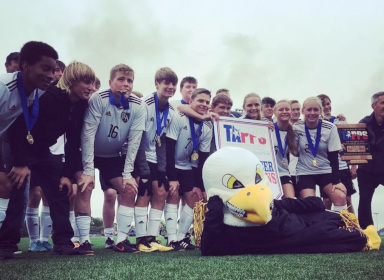 Additionally, the nine students who competed in test-only events garnered enough academic points to earn the first place “Academic Champion” award at the state tournament. The school’s TAPPS Music team composed of violin, guitar, and piano soloists placed first in the “Instrumental Music” competition, a first for the school this year, with ten of the students earning “1” rankings for their solos. The 13-member all-girls ensemble also earned a “1” rank in the Sacred Ensemble category for their performance of “Psalm 8” and “Joshua Fought the Battle of Jericho,” finishing with a first place award for their category. 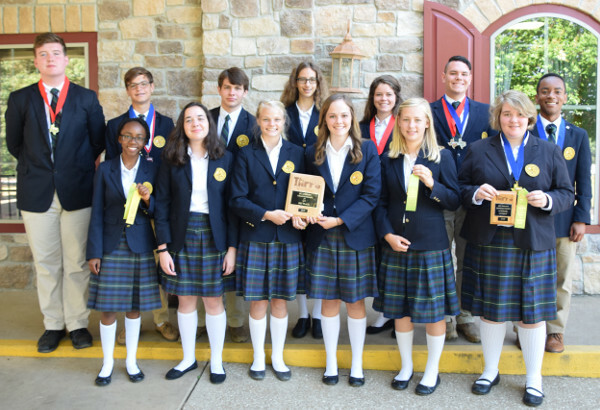 Pictured with their individual medals and ribbons are the members of the school’s TAPPS Speech and Academic, Art and Music teams. 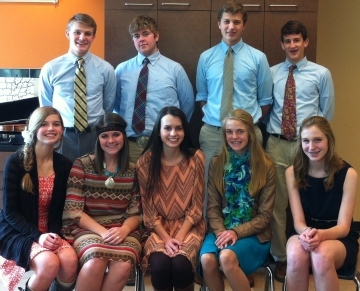 Front row, left to right: Lindley Bryant, Annaleigh Andrews, Avery Gound, Anabelle Terrell, Michaela Hill, Sheetal Bapu, Avery Griner, Isabel Bartram, Kaden Harman; middle row: Andria Sowell, Sarah Grace Alders, Grace DeKerlegand, Alice Bryant, Will Young, Kyla Alders, Emma Terrell, Anne Elisabeth Alders; back row: Jake Hill, Will Hill, Wesley Young, Caleb Henry, Jon Sowell, Kendall DeKerlegand, Aaron Bertke. A HUGE congratulations to the Regents TAPPS Speech and Academics team, who won first place at the 1A State Championship. 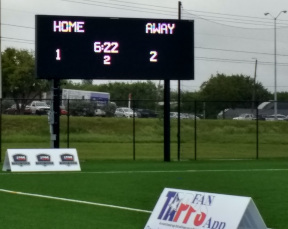 The competition took place in Waco on April 7 and 8. This was a big win for the whole team, who worked hard to prepare, competed as a team, and conducted themselves with grace and class. Great job, students! 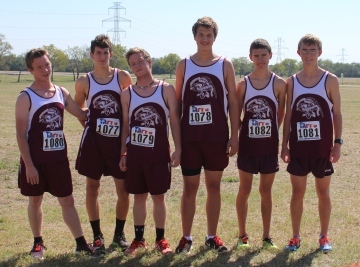 Team members from left to right: (front) Haley Duke, Alice Bryant, Kyla Alders, Annaleigh Andrews, Anne Elisabeth Alders, and Sarah Grace Alders; (back) Jon Sowell, Aaron Bryant, Caleb Henry, Sam Alders, Wesley Young, and Aaron Bertke. 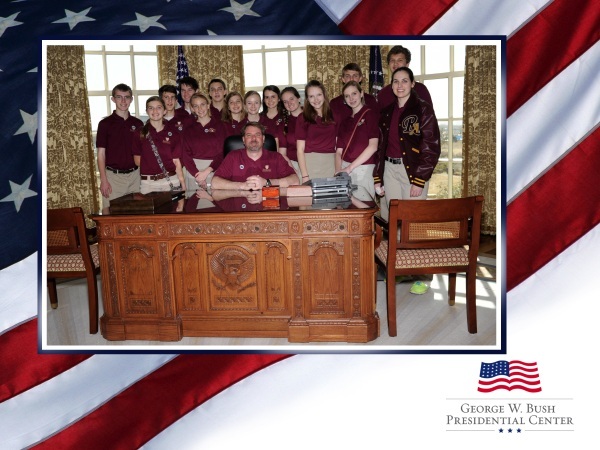 The Regents high school Speech and Academics team visited the George W. Bush Presidential Library while visiting Dallas for their district tournament this week. What a fantastic experience! The tour included a trip to an exact reproduction of President Bush’s Oval Office. 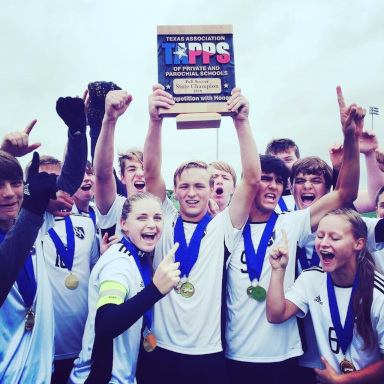 In past years Regents high school students have won the TAPPS 1A Male or Female Fine Arts Student of the Year award. But this year is a first! 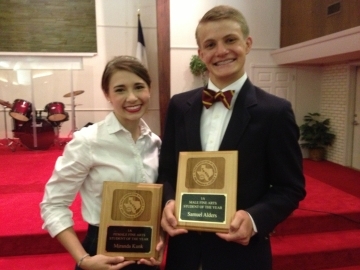 Regents students won BOTH the TAPPS 1A Male AND Female Fine Arts Student of the Year awards. The TAPPS staff names these student winners each year based on student performance in state-wide Speech and Academics and Music competitions. Miranda Kunk was named Female Fine Arts Student of the Year after winning the state championship in Original Oratory, second place in Persuasive Speaking and Literary Criticism, and fifth place in Current Events and Issues. She also earned a “1” and gold medal in violin at the TAPPS Music State competition. Sam Alders was named Male Fine Arts Student of the Year after winning the state championship in Calculator, third place in Advanced Math, and fourth place in Literary Criticism. He also earned a “1” and gold medal in viola at the TAPPS Music State competition. Great job, students! And congratulations to the whole TAPPS Speech and Academics and Music teams, who won the Speech and Academic 1A State Championship and the 1A Music State Runner-Up. If you asked Miranda and Sam how they won these awards, they would certainly say that their teammates and coaches made them better — this was a win for our whole team!